When American golfers want to take a golf vacation (as opposed to a vacation from golf, heaven forbid! ), their #1 destination is… America. Specifically, the islands of Hawaii. When they head to another country, it’s Mexico. And no wonder. While Hawaii has long been known for its astounding golf, with challenging courses set in breathtaking locations, Mexico is quietly becoming an expanding hotbed of world-class courses designed by the likes of Jack Nicklaus, Greg Norman, Tom Weiskopf, PB Dye, and Robert Trent Jones II. 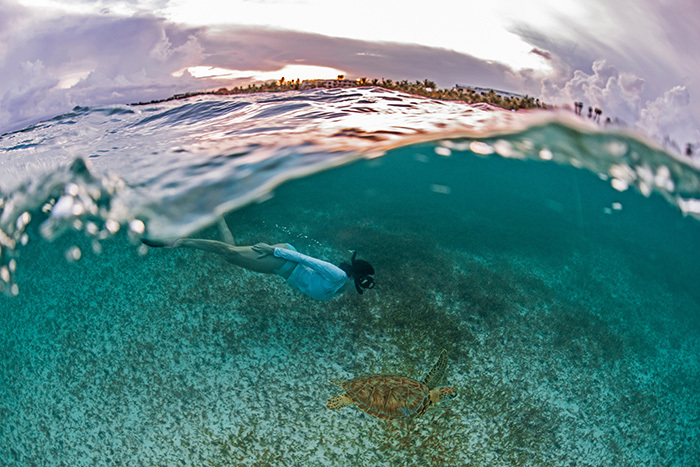 There’s terrific weather all year round, the resorts are world-class, and, of course, it’s an easy trip from the US. Beyond the thrills and heartbreak of a really well-designed course, many layouts in Mexico are blended into some of the planet’s most awesome landscapes — the kind that may actually draw your attention away from the ball. Just keep your mind focused, and wait until you’re at the 19th hole for the sightseeing! ¡Buen viaje! 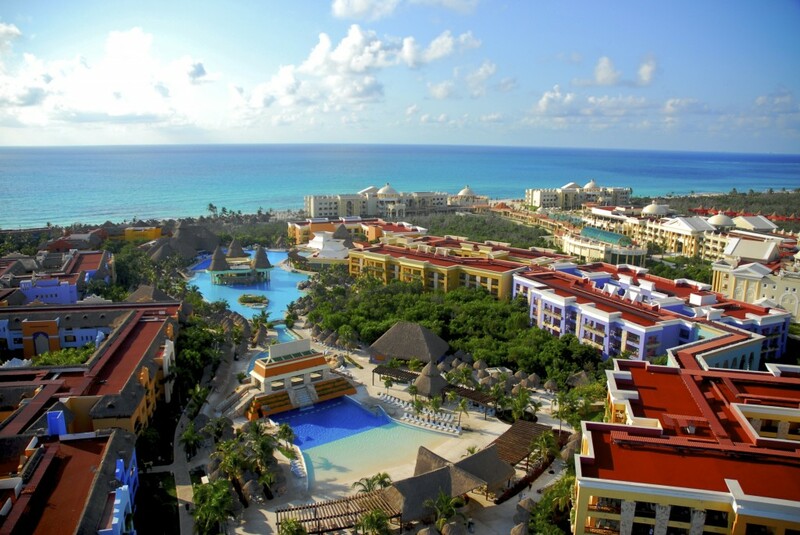 This all-new resort is set along a private stretch of beach in a serene gated community only a few minutes north of downtown Cancun, and includes access to the restaurants and amenities of the adults-only Secrets Playa Mujeres Golf & Spa Resort right next door. 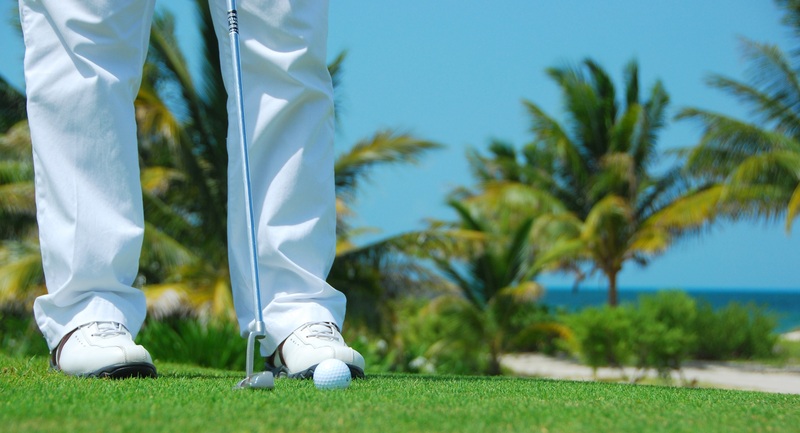 Your stay includes special privileges (adult guests only) at the Playa Mujeres Golf Course, including complimentary greens fees and transportation to and from the lobby to the Club House (just five minutes away) and use of the resorts’ golf concierge for booking tee times. 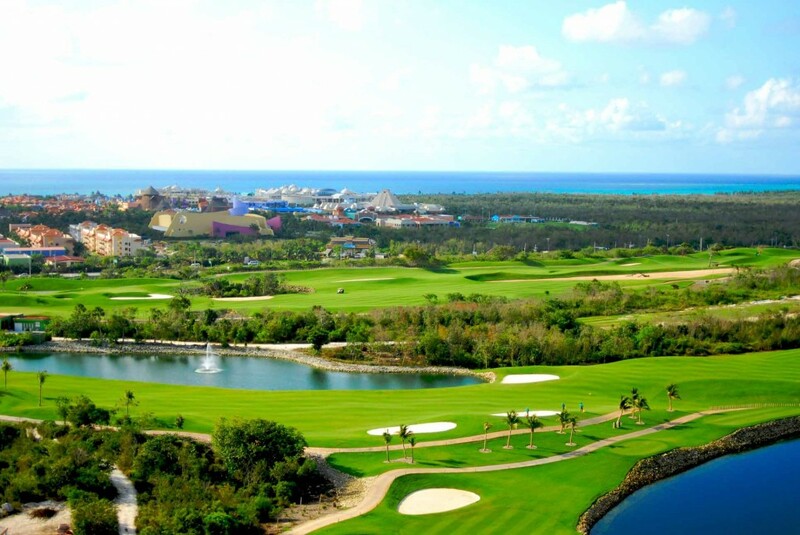 The Greg Norman signature 18-hole course here features strategically placed holes that reveal exceptional ocean and tropical views and is perfect for both the experienced golfer and those who would like to learn. (Beware: daily trade winds demand pinpoint accuracy and challenge even the best of players.) Don’t worry if you packed in a hurry — the Pro Shop features all the major brands of gear. 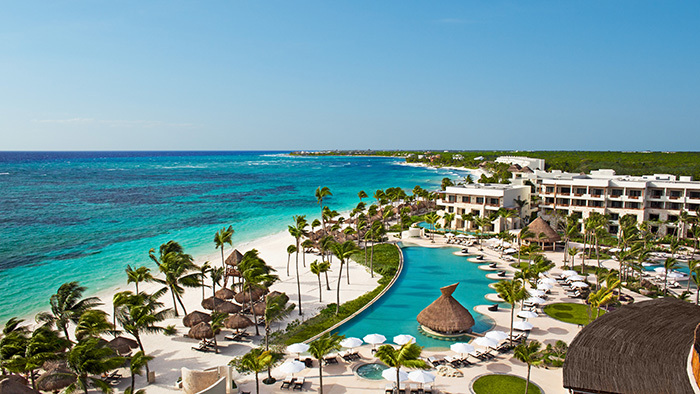 In the heart of the Riviera Maya, you can escape to an upscale adults-only, all-suites resort that opens onto Akumal’s gorgeous palm-fringed white-sand beach. 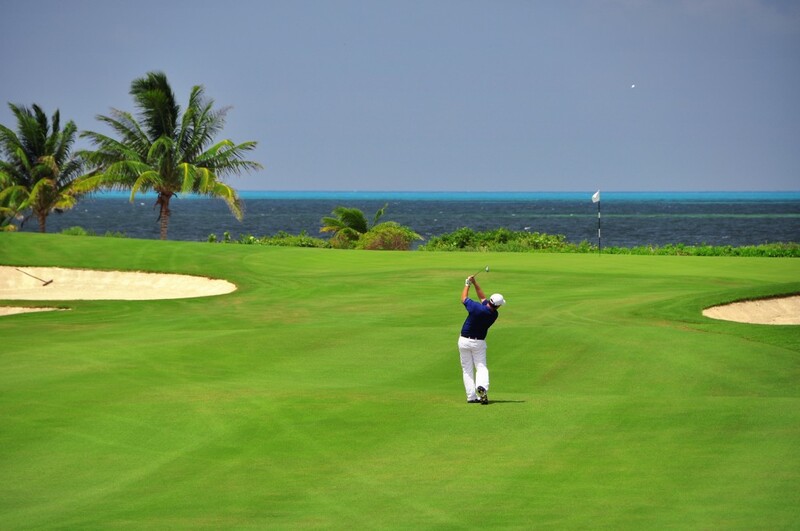 And then you can escape to the picturesque Riviera Maya Golf Club, where guests of Secrets Akumal Riviera Maya enjoy complimentary greens fees. You’ll be greeted by a 36-hole course development that boasts a 7,843-yard 18-hole championship course, as well as a 1,356-yard 9-hole par-3 golf course, all designed by Robert Trent Jones II. 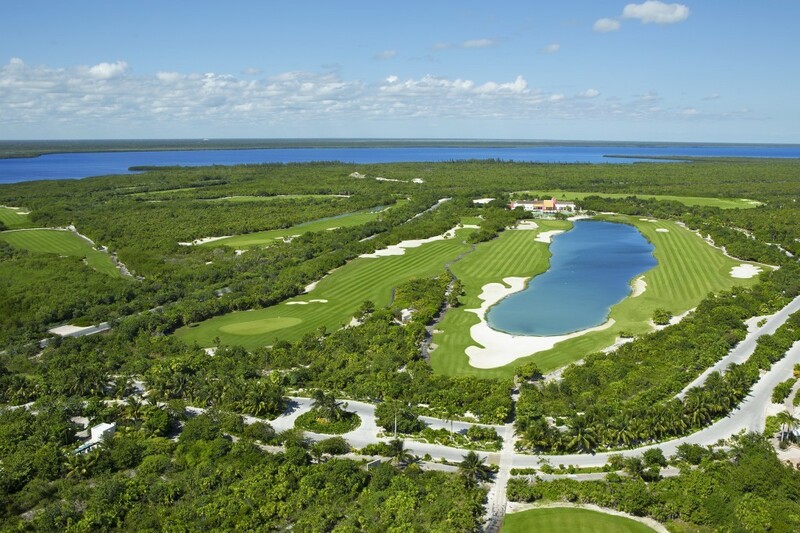 Tee up and drive the fairways amid the majestic wild Mayan jungle, surrounded by beautiful natural lakes and natural cenotes. Keep an eye out for colorful wildlife, including foxes, coatis, and dozens of bird species. The modern-design clubhouse is where you’ll find the pro shop plus a restaurant and bar with great views. Located on a white-sand beach just a few miles north of the charming town of Playa del Carmen, these two properties are part of the IBEROSTAR Playa Paraiso Resort, which also boasts the IBEROSTAR Playa Paraíso Golf Club. Home to the International Golf Federation’s 2016 World Amateur Team Championships, the club’s 18-hole layout, designed by the legendary P.B. Dye, features majestic rolling fairways and carpet-like putting greens, all set in a landscape of lush jungle vegetation, exotic wildlife, and ancient ruins. The course’s hilly terrain encompasses dramatic elevation changes, and features trademark Dye elements like extreme vertical movement and distinctive rock carvings. 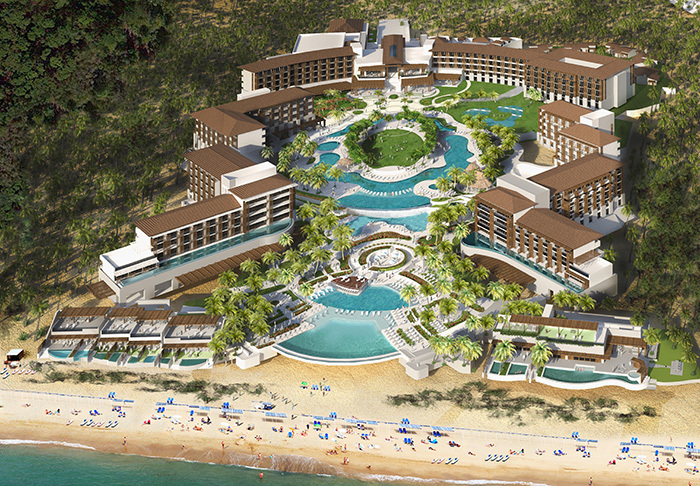 Set in Los Cabos at a point where the desert meets the sea, this exclusive, elegant, traditional Mexican beachside resort is also home to one of the most acclaimed golf courses in the world. 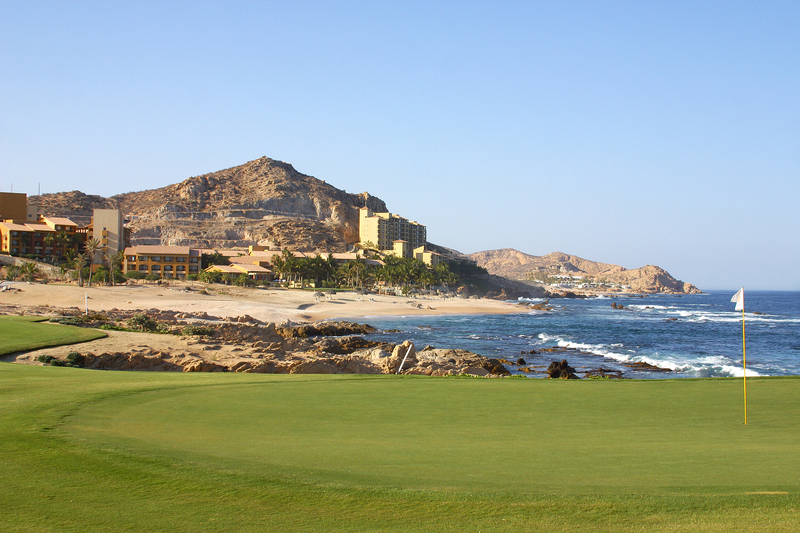 As a guest, you have access to the two championship golf courses of Cabo del Sol Golf Club, including the famous Jack Nicklaus Ocean Course, and the Cabo del Sol Desert Course, designed by Tom Weiskopf. Framed by natural desert landscape complete with giant cacti, the Ocean Course stretches along a coastline of craggy rock outcroppings and sun-washed shores. The terrain can only be described as magnificent. The Desert Course combines canyon-like arroyos and a variety of foliage, along with undulating greens, challenging elevation changes, and dramatic bunkering; mesmerizing ocean views are just icing on the cake. Call your local travel agent today to start planning your very own golf getaway.